In an email being sent to Google Maps users, the Internet search giant announced that it will be retiring localized dining, shopping and entertainment discovery app, Google+ Local for iOS, on August 7. According to the email, the move to retire the app is a direct result of the feature being built into the latest Google Maps for iOS, which received an overhaul earlier in July with iPad support, live traffic and indoor navigation. 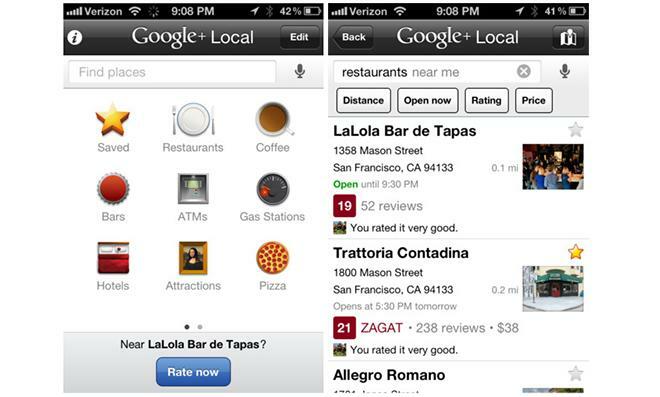 The soon-to-be-deprecated Google+ Local was a standalone discovery app that, much like Yelp, allowed users to search for nearby businesses. In Google Maps, the feature has been rebranded as Explore and uses location information to make recommendations on places to eat, play, sleep and more. Google notes that after August 7, users will no longer be able to access the Google+ Local service via the iOS app. Existing reviews, ratings and other saved assets will still be available on Google+, and will be transferred upon signing in to the Google Maps app.